One of the many benefits of writing Life in Galway is to take the time to think about those who contribute to the quality of life that makes Galway so special. I recall getting a check-up in Amsterdam, the kind where you have to run on a treadmill. The doctor, on hearing that I lived in Galway, said that she would love to live in Galway. If you live here, count yourself very fortunate. There is nothing that beats the small town neighborliness. If you go to the bank, you can say hello to Grace and Ingrid, and these friendly tellers know who you are. The civic-mindedness of its residents can be seen in the many organizations of Galway. I’d like to highlight the Lions Club in this issue. I was curious as to how the Galway Lions came about so I ventured over to Dusty Rhodes’s house. Little did I know that he was instrumental in the club being formed in Galway. I had come to the right place. 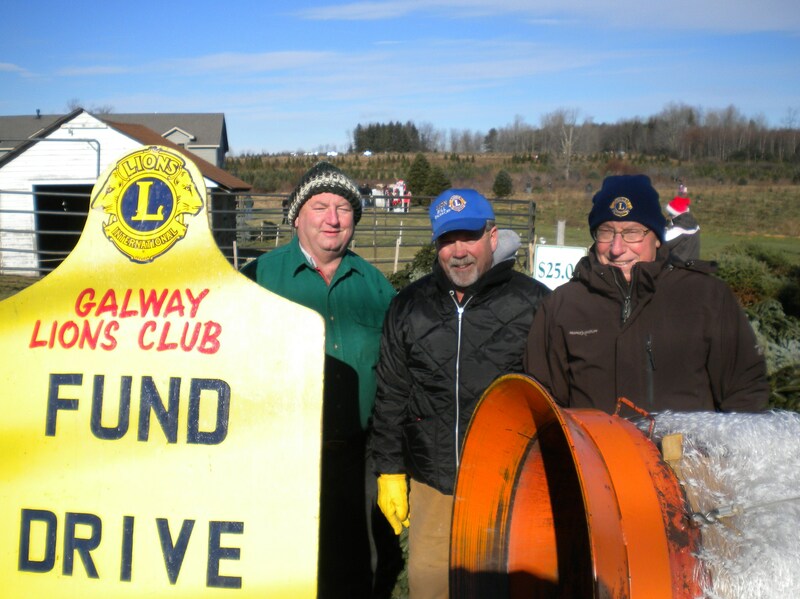 In 1979, Frank Blair of the Lions Club in Ballston Spa, and also the president of Curtis Lumber Company, wanted to start a Lions Club in Galway. He contacted Dusty Rhodes and Liz Feulner and a date for a meeting was set to introduce what the “Lions” were all about. At that meeting Liz and around 10 or 12 women showed up along with Dusty. Frank explained that it was a club for men only. Dusty contacted Olaf Hansen who provided the names from the roster of the Galway Men’s Club which had disbanded. Twenty men were needed to start a club and the lion’s share (pun intended) at the start-up came from the Galway Men’s Club. The Galway Lions chose Richard (Dusty) Rhodes as their first President and Orville Curtiss as the Vice President. Just what do the Lions do? Since 1925, when Helen Keller addressed an international convention of the Lions, the organization has been very much involved with sight. In Albany, NY, the Lions Eye Bank collects corneas for transplants. Used glasses are collected, recycled and distributed around the world. Lions help needy students in Galway Central School to get eye care and glasses. Other local projects include: Rosie’s Walk for Diabetes, coin drop in the summer, Octoberfest, Songfest during the winter, chowder at the Memorial Day festivities at the green, and bagging Christmas trees for customers at Bob’s Trees for a donation of $3. The money collected during fund raising goes to many community projects. Two examples of how they benefit our community is providing money to Galway Central School for a new sound system in the auditorium as well as scholarships to worthy graduating seniors. The list could go on. How does one become a Lion? One must have a heart for community service. Also each member is expected to pay yearly dues of $65. Women are now able to become a Lion or be a Lioness. There is nothing like the camaraderie of people working together to serve others. 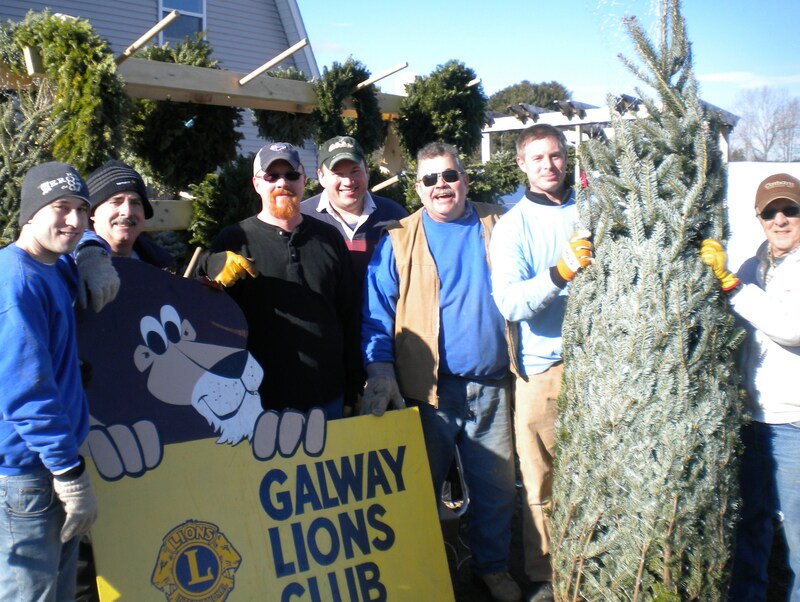 On behalf of Galway, thank you Lions for all you do!